While we are still a few weeks away from MWC, our friends at LG let us know that they decided to get a head start and unveil their latest smartwatch effort in the LG Urbane. If it looks familiar it's not surprising as LG takes the original G Watch R and refines it with a more "sophisticated and cosmopolitan" look. 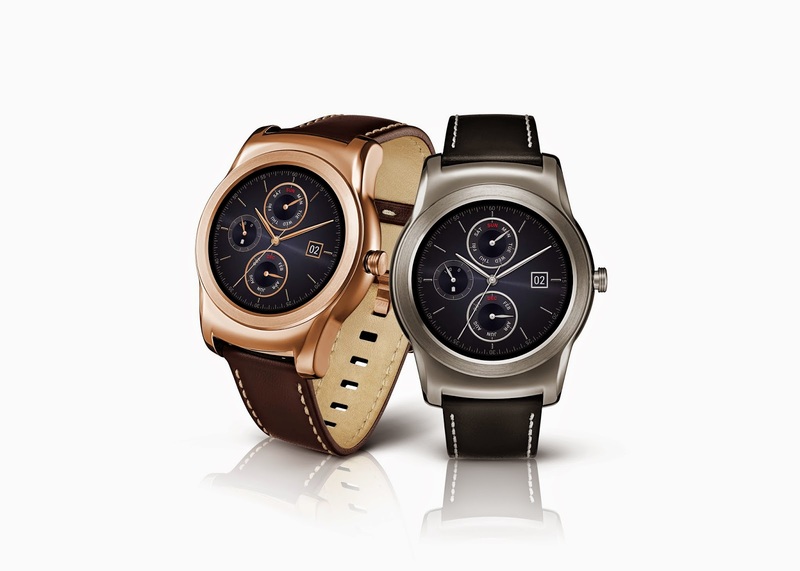 The inspiration from the G Watch R for the Urbane don't stop at looks, internals are identical to LG original round faced smartwatch which include 1.2 GHz Qualcomm Snapdragon 400 processor, a 1.3 inches plastic OLED at 320x320 with 245ppi, 512MB of DDR2 memory, 4GB of internal storage, 9-axis (gyro / acceleration / compass), barometric pressure sensor, heart rate sensor, IP67 certified Waterproof and dustproof, 410mAh Battery and available in Gold and Silver. We expect to see more coverage of the device at MWC in less than 2 weeks.